We’ve already showcased some infamous media interview blips in Worst Media Interviews of All Time. What about those occasions when an interviewee abruptly walks out, refusing to answer any more questions and dramatically terminating the interview? 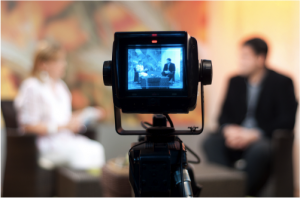 Media walk outs are the cardinal sin of broadcast interviews, and while certain celebrities might welcome the backlash of a stormy departure in order to raise their profile, it’s a situation best avoided. Preparing for those tricky questions could mean the difference between headlines singing protest or praise. The first of our cringe-worthy walk outs was nominated by Director of Ketchum PR, Stephen Waddington (@wadds). Last November, acting BBC director general, Tim Davie, walked out of a Sky News interview with Dermot Murnaghan when faced with a tricky question on the then recently departed George Entwistle. Davie’s performance lacked the appropriate authority for his job title, appearing unprofessional and flustered when faced with searching questions. Another high profile media walk out – this time from WikiLeak’s founder Julian Assange, who walked out of a CNN interview when questioned on his legal woes. In fairness, Assange gave the interviewer several opportunities to change her line of questioning, warning he would walk should she pursue that angle. Assange could have expected to be asked about the accusations against him, given the media frenzy around the issue, and might have done better to prepare a brief response. There’s an exception to the rule about avoiding media walkouts, reserved for that 0.1% of the population effortlessly adored by the media and with little fear of spoiling their reputation. Enter retired Manchester United manager, Sir Alex Ferguson. With an established public profile, we gather Sir Alex felt he had little to lose by walking out on the cameras. What do you make of his performance? PR Agency One delivers the very best in Media Training, helping clients to prepare for the hard questions and instil the confidence necessary to shine in the spotlight.